NYC Health + Hospitals announced today that seven of its hospitals have been recognized as a Best Hospital for 2017-18 in Heart Failure. Of those, three hospitals also earned Best Hospital for 2017-18 in Chronic Obstructive Pulmonary Disease (COPD) care. The rankings were published today by U.S. News & World Report. Each hospital was evaluated on seven measures, which produced ratings of high performing, average, or below average in a procedure or condition relative to other rated hospitals in treating patients 65 and older. 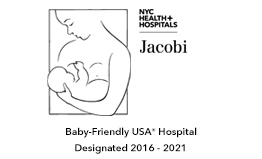 All of the public hospitals in Brooklyn were recognized as “high performing” for heart failure care, and one was also recognized as “high performing” for COPD care. Of the seven public hospitals recognized as “high performing” for heart failure care, six received an “excellent” evaluation for how often patients are discharged directly home instead of to another facility. All seven hospitals recognized as “high performing” for heart failure and/or COPD care received an evaluation of 95 percent or higher for the percentage of ICU patients whose care included appropriate steps to prevent blood clots. The annualBest Hospitals rankings, now in their 28th year, are part of U.S. News & World Report’s patient portal, designed to help patients make informed decisions about where to receive care for life-threatening conditions or for common elective procedures. For the 2017-18 rankings,U.S. News & World Report evaluated more than 4,500 medical centers nationwide in 25 specialties, procedures, and conditions. 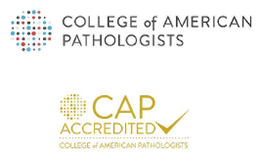 The publication’s methodologies include risk-adjusted survival and readmission rates, volume, patient experience, patient safety, quality of nursing care, and other care-related indicators. 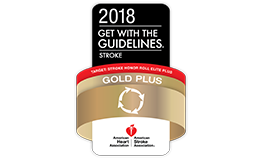 This latest acknowledgment follows awards received in June from the American Heart Association and the American Stroke Association. Ten public hospitals in the health system were recognized for implementing specific quality improvement measures related to the treatment of patients suffering from heart failure, cardiac arrest, and stroke. 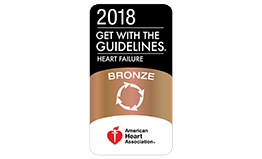 The awards recognized the consistent application of best-practice, research-based standards of care, which reduced recovery time, disability, and mortality rates for stroke patients, and reduced hospital readmissions for heart failure patients.